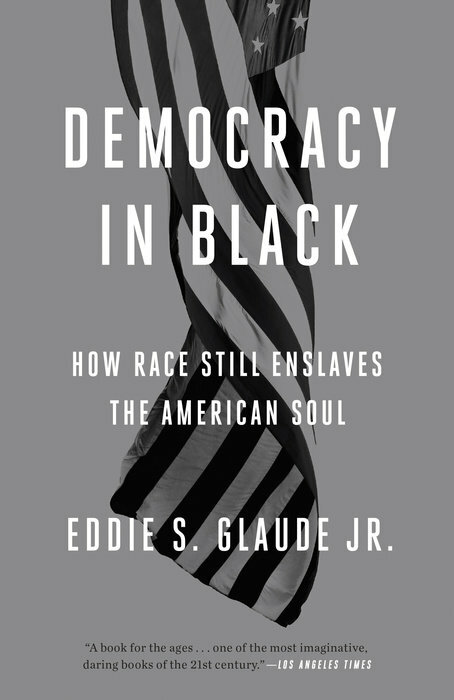 As a non-American, this book opens up my eyes to the bitter perception of racial inequality in America from the eyes of the author, Eddie S. Glaude Jr.. While I have never had the notion that racial equality in America is all about "a bed of roses", the extensiveness or the seriousness of this racial inequality in America couldn't have been more palpable than after I read through this book. What is more encouraging and surprising to me is how candid and free the author talked about this heart wrenching and dark issue with no holds barred. This kind of provocative conversation would probably not going to see the light in my own home country. And this kind of book would probably not going to get passed the printing release stage. "President Obama's election supposedly meant that we had turned a corner. We wanted to believe that we were leaving something bad behind. But we have seen and experienced so much ugliness over these past seven years. How many times have we watched black parents in anguish as they buried their children? As they stood before the press and demanded justice, joined with other parents in a communion of grief? The deaths of Trayvon Martin, Michael Brown, Sandra Bland, and so many others shattered any illusion we might have had about a post-racial America. People from all over the country took to the streets... Chants of "hands up, don't shoot," and "I can't breathe" and "Black lives matter" let the world know that race is far from being a nonissue in this country." The author talked about the recent widening wealth gap between the blacks and the whites with more young black families and children than ever drowning in poverty. One out of four African Americans lives in poverty today. One out of three black children grows up in poverty while only one out of ten white children lives in poverty. Long term unemployment among African American is at its highest in America in the last twenty years and has left many isolated in concentrated poverty while even the middle class African American face the threat of downward mobility. The author also talked about the provocative issue a supremacy of one race over another (in this case, the white supremacy). As the author stated it, United States remains a nation fundamentally shaped by its racist past and present. Although slavery is now seen as evil and although thee are black people running Fortune 500 companies and working as mayors and professors at Ivy League schools, white supremacy continues to remain as a grim reality in that country. "How we collectively remember is bound up with questions of justice. Or, to put the point differently, what we choose to forget often reveals the limits of justice in our collective imaginations. Think about it in a personal way. Imagine that a family, one that prides itself on the strength of familial bonds, carries the burden of a terrible secret. Everyone knows, even as they act like they don't, that an adored relative has sexually abused a young niece repeatedly. As time passes, stories are told about his sense of humor, his generosity in times of need, and his loving personality. With each recollection, the memory of his heinous action falls into the shadows and the injustice of his treatment of his niece is ignored or forgotten - except by the victim herself. For her, stories of his kindness tell her, in effect, to shut her mouth. When we disremember an event, an egregious moment in the past, we shape how we live in the present. I borrowed the word from Toni Morrison. In her magisterial novel Beloved, she grapples with the difficulty of memories, haunting memories that come back to consume. Disremembering enables the characters in the novel to ward off, temporarily, the pain of past events. Disremembering blots out horrible loss, but it also distorts who the characters take themselves to be. Something is lost. It is this sense of the word that strikes me as particularly useful for our current moment. Disremembering is active forgetting." "We are to remember Dr. King, and the movement he represented, as a sentimentalized proponent of nonviolence and total love. That's all. The other stuff gets tossed in the trash bin, discarded bits of willfully forgotten history." As a whole, I find this book to be very thought-provoking, sharp and honest although I believe the author has not done enough in the book to address on how to close this gap other than to say that black people must lose their blackness if America is to be transformed but white people get to stay white. What does he mean? Why should black people lose their ethnic identity and cultural relevance just to blend into the other race? Why should only white people be allowed to retain its own ethnic identity? That part, as someone from an Asian country, I do not understand. And I don't seems to agree. Can the black people be treated equally just like the other races and for America to be transformed while at the same time, allows the black people to retain their own ethnic identity? 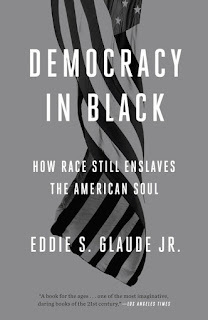 The concluding sentence of this book seems even more incredulous: "Together, we must close the value gap and uproot racial habits by doing democracy, once again, in black. If we fail this time - and if there is a God I pray that we don't - this grand experiment in democracy will be no more." The can of worms is now opened, but it seems like the author does not have much solution to offer except in bringing us a big circle only to come to the conclusion that we just have to try again and try harder. This to me, seems like a desperate statement - an argumentum in terrorem or ad baculum. i. One God, eternally existent in three persons: Father, Son and Holy Spirit. ii. the sovereignty of God in creation, revelation, redemption and final judgement. iii. the divine inspiration of and entire trustworthiness of Holy Scripture as originally given, and its supreme authority in all matters of faith and conduct. iv. the universal sinfulness and guilt of men since the Fall, rendering them subject to God's wrath and condemnation. v. redemption from guilt, penalty, dominion and pollution of sin, solely through the sacrificial death (as our only Representative and Substitute) of the Lord Jesus Christ, the Incarnate Son of God. vi. the bodily resurrection of the Lord Jesus Christ from the dead and His ascension to the right hand of God the Father. vii. the justification of the sinner by grace through faith alone. viii. the indwelling and work of the Holy Spirit in the believer. ix. the presence and power of the Holy Spirit in the work of regeneration. x. the one Holy Universal Church that is the body of Christ and to which all true believers belong. xi. the expectation of the personal return of the Lord Jesus Christ. All About GOD - The Christian community for seekers, skeptics, and believers.